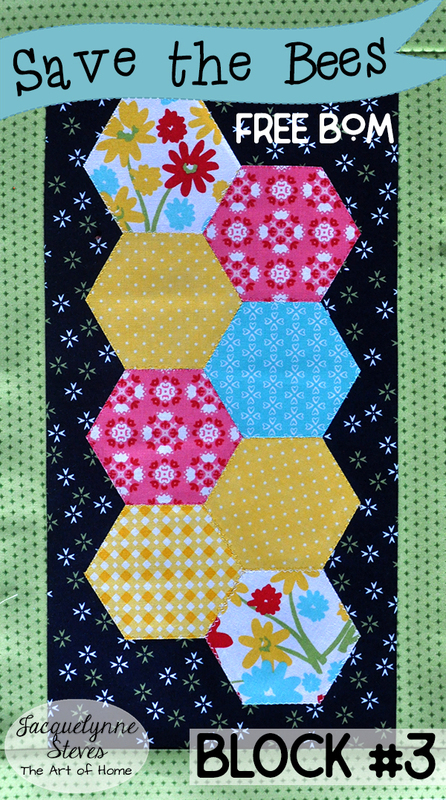 Free Bee Quilt Block #2 for the I Love Home FREE Block of the Month! « Free Embroidery Pattern- Hello Fall Pumpkin! Save the Bees BOM Block 3 is here! Oh my goodness, can you believe we are already up to block #3?! I’ve been following your progress over in the free Facebook group– you guys are doing a GREAT JOB on your Blocks!!! Time for another free quilt block! PLEASE NOTE- I realize that there is A LOT OF INFORMATION IN THIS POST! PLEASE TAKE THE TIME TO READ THROUGH IT ALL- Answers to most of your questions will be found in this post. Thanks!! If you are NOT signed up yet, please fill in the box in the upper right side bar of THIS PAGE to get your FREE block patterns, or click here to sign up! NOTE- THE PATTERNS ARE NOT ON MY WEBSITE OR BLOG- YOU MUST SIGN UP TO RECEIVE THEM BY EMAIL. I decided on including a hexie block in this BOM pattern for 2 reasons- first, the hexies remind us of honeycomb, which definitely plays into that bee theme. Also, hexies are super popular, but many people don’t have time to do the EPP by hand the traditional way, so I thought I’d show you a faster way to do it through machine applique. We LOVE seeing photos of your blocks!! Be sure to join us over in our Sew Quilty Friends Free Facebook Group for fun interaction with other creative peeps! CLICK HERE FOR BLOCK #1 BLOG POST. Let’s talk about our prizes!!! You will love visiting the bloggers above- not just to enter the giveaway, but you may also be inspired to try a different technique or color combination- I know that they have really inspired me!! We will be having FABULOUS giveaways this year! I am really excited about the prizes we are offering, you are going to LOVE them! 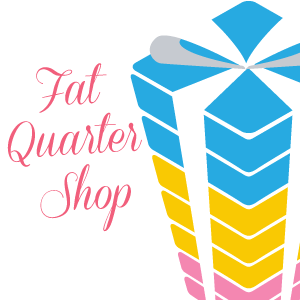 Here are our sponsors- please visit their websites and see all the quilt-y and sewing goodness that they have to offer! 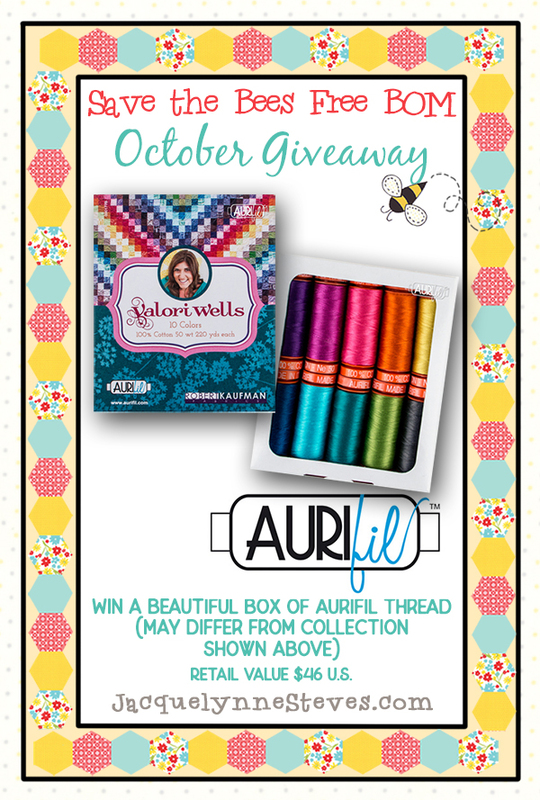 Be sure to visit Aurifil to find out about their thread, which comes in a variety of weights for multiple purposes, and in a rainbow of gorgeous colors. Also, you will find their blog to be an inspirational and informative read! OK everyone- start those sewing machines!! This article was posted in Block of the Month, Blog Hops, Embroidery, Featured, Fusible Machine Applique, Sewing & Quilting. Bookmark the permalink. Follow comments with the RSS feed for this post.Post a Comment or leave a trackback: Trackback URL. I love paper piecing – have not tried Englsh paper piecing. I nearly blanket stitch my appliques with black Aurifil thread. It’s my favorite thread. Did you scroll all the way to the bottom of the email? All three blocks are at the bottom. You taught me to quilt! I’m slow as molasses but love sewing, including little projects like mug rugs and zipper pouches. I’ll never be precise but I still enjoy the process and I had the best teacher. 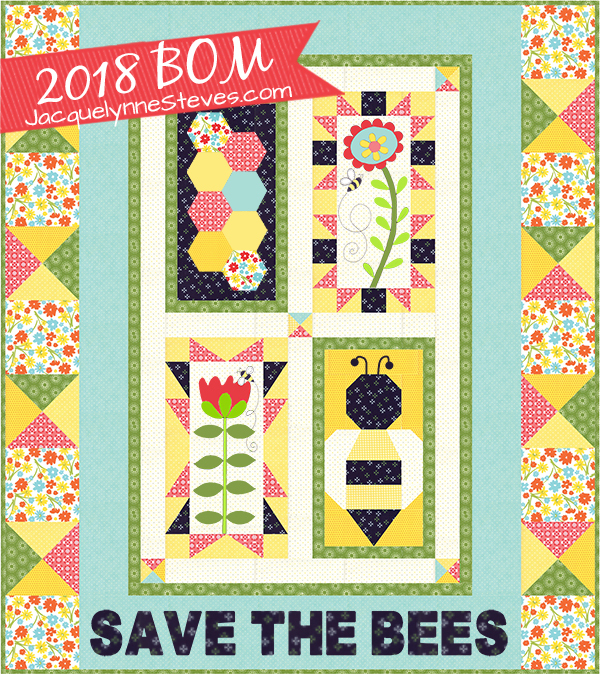 Love your color choices for the Save the Bees block. Have a great time at PQIF. Oh I love the Hexies, time for some EPP, which I learned from you. Thank you. One more technique to add to my repertoire. I am learning machine embroidery, but enjoy hand. Applique I enjoy-by machine and some hand. Really like paper piecing. I’m new to EPP but enjoying it. Great for travel! I enjoy doing items w/hexies. Bee BOM is first I’ve done. Really enjoy it. Congrats on your new building! So exciting! Love this hexie block! This is a good one ! I love EEP! Wishing you the best in the beautiful new house/office building. Beautiful setting. Congrats on your new “home”! Thanks for a neat giveaway! I have scrolled to the bottom of the email but I can’t find the link to block #3. I figured it out I think lol. Hi! Have a little problem on First block. White center piece is 17 in. Side pieces 14 1/2. Am I missing something? If I sew the long strips on , it’ll leave 2 1/2 inches. Do I center these strips on the 17 in. piece? Confused. Love your “newbies” & hope you can maintain your excitement when you are ready to tear your hair out.You are one talented lady!